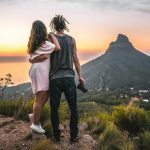 Seeing Table Mountain for the very first time will leave you speechless, getting to see it every day is a true blessing, but not getting to see it again is a fate few Cape Town locals would like to imagine. There is nothing quite like enjoying a morning coffee, an evening cocktail, or a mid-day glass of red while gazing out at one of the 7 Wonders of Nature. 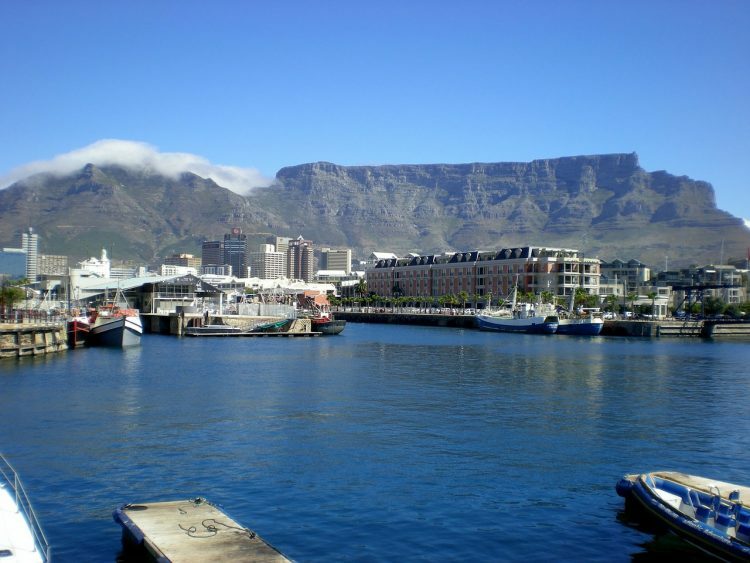 To Capetonians Table Mountain is home, and it’s a piece of home you’ll not only miss, but wish you never left. Where else in the world can you admire a glorious 8pm sunset and indulge in temperatures that allow you to bask in the afterglow until well into the night in the same spectacular manner than the Mother City? Cape Town is renowned for its spectacular, long, sunny summer days, and after experiencing this magical treat, it’s hard to imagine a life without it. And quite frankly, why would you dare to anyway? Sitting amongst the seagulls at the ocean’s edge, sipping an ice cold Coke and piling on the endless amounts of salt and vinegar on your fried hake, calamari and chips is a delicious Cape Town past time. This moment is pure bliss! The fact that you can derive so much happiness from such a simple pleasure almost seems unimaginable. Local fish and chips is king and we dare you to try find anything that even comes close! Because it doesn’t quite matter where you are, as soon as you see the sun dip behind Signal Hill & reaching out over the Atlantic, the sky bursts into a glorious celebration of colours, it’s something only to be admired. Witnessing a Mother City sunset will leave you spell-bound and wanting more, and every day you’ll patiently wait to experience that magical feeling all over again. Even if you’re not a beach lover at heart, having it right in your back yard is a pretty cool feeling indeed! There’s just something special about being sun-kissed, salty-haired and beached-out when in Cape Town, wouldn’t you agree? Plus with so many unique, beautiful and exciting beaches to explore, how could you not love every single second and miss every little bit of all the Cape Town beaches you leave behind. 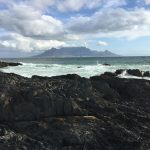 In Cape Town hiking truly is a cherished and celebrated past-time. Ask any Cape Town local if they remember their first hiking adventure, and chances are they definitely do. There is no better feeling than summiting that 669 metres above sea level Lions head climb, after doubting whether you’d make it to the top at all. It’s like you’d escaped the city without really leaving it at all! And whether it’s a sunrise, sunset or a full moon night, a Cape Town hike will forever be an extraordinary experience. The glorious Chapman’s peak has a unique ability to leave even the best of us speechless. Whether you’ve seen it ten times or two, its beauty will never cease to amaze you. The plunging cliffs and towering peaks combined with a killer panoramic view certainly hits the sweet spot. In Cape Town wine and coffee is as much of a cherished past time as watching a sunset or indulging in a serving of local fish and chips. And as Capetonians, we sure know a thing or two about it, and even if we don’t, we certainly like to pretend we do. Capetonians not only love drinking wine and coffee, we love talking about it, tasting it and more so, discovering it. Because discovering new wines and coffee roasting gems is an exciting journey we love sharing with our fellow local friends and anyone else that shares our passion. The Mother City encourages adventure and a true sense of wonder. She thrusts you outside of your comfort zone and dares you to push your limits in the most spectacular way! Post-work afternoon surf session? Why not! Sunday morning skydive attempt? Coming right up! Or what about a glorious pre-work sunrise hike? Have at it! Who needs a GPS when you have an iconic flat-topped mountain to guide you. Because if you can see Table Mountain, at least you’re still on track. This remarkable Cape Town landmark also doubles as a weather predictor and can certainly put some of the world’s best weather forecasters to the test. If you keep your eyes on that table top, you’ll have a good indication of what’s to come! Cape Town and its incredible locals are bold, brave and unapologetically authentic. Their artistic flare, cultural pursuits and creative expressions are daring, unique and certainly make you sit up and take note. And who brings it all to life? The people of course! 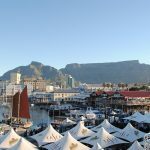 Cape Town is a glorious and richly diverse melting pot of authentic people that not only embrace their local culture and rich heritage, but celebrate it! When Cape Town winter dawns, don’t be tempted to put away your summer dress or beach shorts just yet, it might still surprize you with some splendid sunshine! Where else in the world can you experience all four seasons in one day? No other city in the world quite does it as gloriously as Cape Town. And you’ll be sure to miss every second of summer sun, winter rain, spring time breeze and autumn chill, not necessarily in that order. Friday night in the Mother City means Long Street will be buzzing with locals and tourists alike looking to have a good time. It’s electric, vibrant and worth every second of sleep lost. At night it comes alive, and it’s truly glorious! Cape Town truly provides the best balance between hustle and happy. And while the week might require you to buckle down and work hard, the weekend invites you to sit back, relax and soak up all the chill vibes on a beautiful beach or glorious mountain top. A truly unbeatable combination that can never be matched. 15. The magical Mother City vibe! That infectious, unexplainable Cape Town feeling, that electric Cape Town vibe you can just about touch, there’s a certain magic to this city that’s pretty hard to put into words , you have to feel it. And once you do, you’ll be hooked, done, game over! The Mother City will have you spell-bound and hanging on her every word. It’s the type of magic you won’t find anywhere else in the world, but right here in the heart of beautiful Cape Town. While the world might be your oyster, the Mother City will forever have your heart. And even if you decide to move a thousand miles away, she will spend every second reminding you of her beauty, authenticity and lust for life. Cape Town is, and will forever be, one of the most beautiful and exciting cities in the world, and what a glorious place it is to call home! You might just think twice before moving abroad. Well, there are very good reasons to stay in Cape Town and not move abroad. 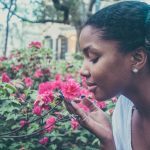 Learn more about the Mother City, how to get around, things to do in Cape Town, and more from our blog. We can help you find the perfect place to stay. 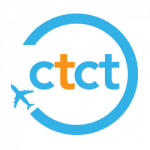 Get in touch if you’d like help finding accommodation or Cape Town tours to indulge in when you are around.